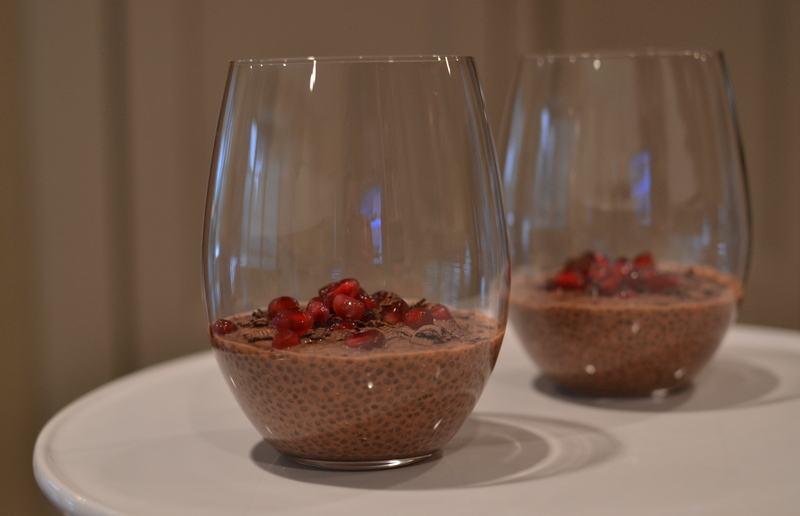 chia seed pudding | Is there any wine left? 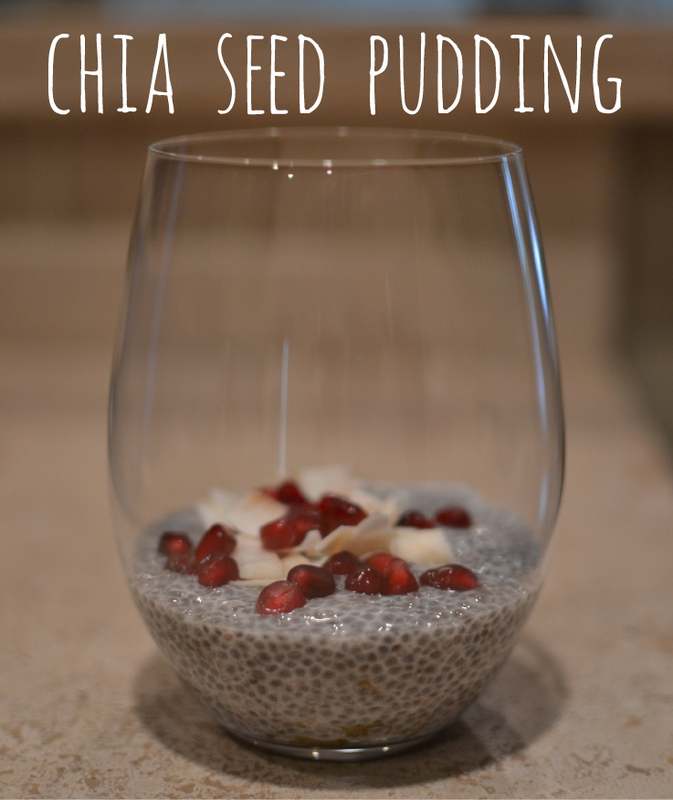 I know am late jumping on the bandwagon, but OMG chia seed pudding is my newest obsession. It is my jam, y’all. I cannot get enough. We’ve been putting chia seeds in our green smoothies* for a year or so now because they are super-packed with nutrients — tons of fiber and protein (to keep us full throughout the morning), antioxidants (that help prevent cancer, fight aging and protect against free radicals), Omega-3 fatty acids (which reduce inflammation, enhance cognitive performance and reduce high cholesterol), and calcium, manganese and phosphorus (to keep our bones strong). They have been around forever and ever and were a staple in the diets of the Mayan and Aztec warriors, who used the seeds as their main source of fuel during conquests. What I am trying to say is that chia seeds are a major, major superfood. So, yeah. I’ll wait while you run to Whole Foods to grab a bag…. Back? Okay, here’s the other thing about chia seeds. They absorb the heck out of liquids (more than 12x their weight) and turn into little gel-like beads, which is perfect for pudding-making. Let’s be real for a second. Personally, I was hooked after one bite. But it’s a texture unlike anything else you’ve probably eaten, so it might take some getting used to. Now, lets talk toppings! Toasted coconut flakes, pomegranate seeds, shaved chocolate, raspberries, sliced mango, toasted almonds slices, blackberries, orange zest, bananas, granola, dried cherries, pepitas, peaches. ENDLESS POSSIBILITIES, friends. And a bonus for all of you super-health nuts — this chia seed pudding is dairy-free, gluten-free, and paleo. In a jar or tupperware with a lid, combine the coconut milk, chia seeds, salt, and vanilla. Place the cap or lid on the container and shake to combine. Put the mixture in the refrigerator for one hour, shaking well again after 30 minutes. Stir in the maple syrup, honey or agave nectar before serving. Serve as is or add toppings. So what could be better** than vanilla chia seed pudding?? This is seriously the perfect afternoon snack. Since cocoa powder can be a bit bitter, you will need more sweetener in this version. Thus, the addition of brown sugar. In a jar or tupperware with a lid, combine the coconut milk, chia seeds, salt, vanilla, cocoa powder and brown sugar. Place the cap or lid on the container and shake to combine. Put the mixture in the refrigerator for one hour, shaking well again after 30 minutes. Stir in the maple syrup, honey or agave nectar before serving. Serve as is or add toppings. *I totally need to blog about these soon. LIFE-CHANGING mornings. **except I actually think I like the vanilla better, if only because it allows me to add more random toppings!